Tokens of Inspiration Necklace Only $5 Plus FREE Shipping! You are here: Home / Great Deals / Tokens of Inspiration Necklace Only $5 Plus FREE Shipping! These necklaces are sweet and simple while declaring your feelings! 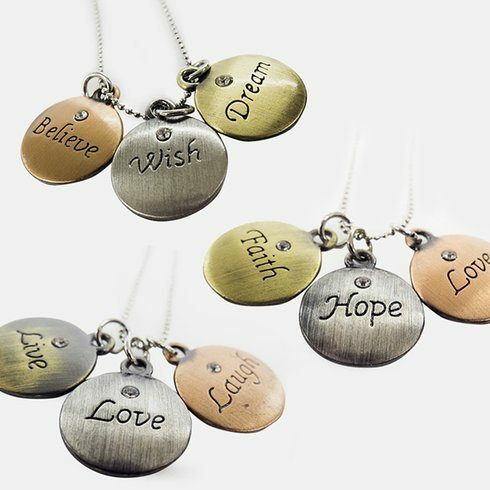 The Tokens of Inspiration Necklace – in 3 Styles – is Only $5 Plus FREE Shipping! These charms are little reminders of how great life can be! These can be paired with your favorite outfit or given as gifts!